We are offering $5,000 seed funding to members of our Community to explore a new collaborative initiative on the use of citizen-generated data for SDG and/or climate change commitment monitoring. The project should focus on how citizen-generated data (CGD) can support monitoring and accountability of the sustainable development goals (SDGs) and/or the UNFCCC climate change commitments. As part of our work to foster civil society innovation, collaboration and capacity development on data, we invite members of our growing Community of CGD champions to develop a concept for a new project using this modality of data for SDG and/or climate change monitoring and accountability. The challenge aims to foster collaboration, experimentation, and innovation on citizen-generated data. Applications will therefore be reviewed against these key criteria, with the successful concept for collaboration being awarded $5,000 seed funding for further development of the idea into a fully scoped project proposal. The winning collaboration will be encouraged to seek inputs from other Community members during the proposal development process. The DataShift team will also provide inputs and feedback, and explore additional opportunities for promoting the proposal amongst relevant partners and at key events. Unsuccessful entries will still have the opportunity to share their idea with our Community, with a view to identifying additional opportunities for collaboration. Think you have the winning collaboration? Complete the application form and submit your project proposal to datashift@civicus.org by 19 October 2016 (11:59pm EST). The winning collaboration will be notified by 24 October 2016, with the final project proposal to be completed by 24 November 2016. Not yet a member of our community? Join the DataShift Community of civil society organisations, campaigners, and citizen-generated data and technology practitioners, by signing up at http://civicus.org/thedatashift/community/ and follow us on Twitter via #Datashift. DataShift is helping civil society produce and analyse data, especially citizen-generated data, to drive sustainable development. We do this by building capacity, powering campaigns and improving the monitoring of government, resulting in better accountability, policies and services. DataShift is an initiative of CIVICUS, in partnership with Wingu, the Engine Room and the Open Institute. The current excitement around the role of data in supporting the delivery of the sustainable development agenda is in itself revolutionary. A few years ago the discussions were limited to a few organisations directly dealing with data. More encouraging now is the flurry of activities in-country by data enthusiasts to mobilise government, civil society, donors, multilateral organisations, academia, and media, among others; to join hands in ecosystems that can harness the data revolution to address a range of data and development challenges. As part of our work on this agenda, CIVICUS, through the DataShift initiative has joined forces with the Global Partnership for Sustainable Development Data (GPSDD) to galvanise political commitment, align strategic priorities, foster collaboration, spur innovation and build trust in the booming data ecosystems of the 21st century. One of the ways this has been pursued so far is through a series of national data revolution roadmap workshops organised by the GPSDD and led by national governments and partners. The series kicked off in April in Colombia, followed by Sierra Leone in June, and subsequently in Tanzania and Kenya in August 2016. The back to back workshops in Tanzania (12 – 13 August) and Kenya (15 – 16 August) – both DataShift pilot countries – explored how stakeholder ecosystems can meaningfully harness data to drive progress on the Sustainable Development Goals (SDGs) at the national level. A unique feature of the workshops was the blending of local and international actors who shared a platform to showcase their work, mull over challenges, share experiences, and brainstorm ways to shape the country-level data revolution agenda. Learning from each other is the best way to avoid re-inventing the wheel. Challenges with data collection, access, and use that were raised during the workshops had many similarities across the countries. However, the diversity in socio-economic, cultural and political systems makes one realise that we need highly contextualised approaches to data ecosystems. Attending and facilitating sessions at the workshops also reminds one that the data revolution will not happen on its own. Efforts made by the GPSDD and other players to catalyse action, especially at the national level; like the Office of the Deputy President in Kenya, National Bureau of Statistics Tanzania and the Open Data Council in Sierra Leone, need to be fully supported by other governments and additional stakeholders. Change processes in-country take decades, mindsets have to change, social and cultural beliefs must be reshaped to align to new ways of doing things, and partnerships have to be forged to do the actual work. It is however doable, if we make the right connections – this was demonstrated in the presentations by Kenya Health Data Collaborative, Kwantu, Open Institute, Kenya Open Data Initiative, #NationNewsplex, Map Kibera and ourselves (DataShift), among others, during the Nairobi workshop. We therefore need to urgently connect the dots and complement one another. The call to LNOB (“leave-no-one-behind”) will not be as easy as ABC. Significant gaps remain in trying to establish who are in real terms already or at the greatest risk of being left behind. In most places, we have barely scratched the surface (financially, technically, or otherwise) in fully understanding where they live and what their needs are; yet with only 14 years to realise the SDGs, we don’t have any time to waste! DataShift’s exploits with the Open Institute in localising the SDGs at the community level in Lanet Umoja Location, Nakuru County, in Kenya with Chief Francis Kariuki, hopes to demonstrate (at a small scale) the sort of effort needed to reach everyone, including the most marginalised, to better understand their needs and priorities, and the kinds of resources needed by government and others to meaningfully impact their lives. 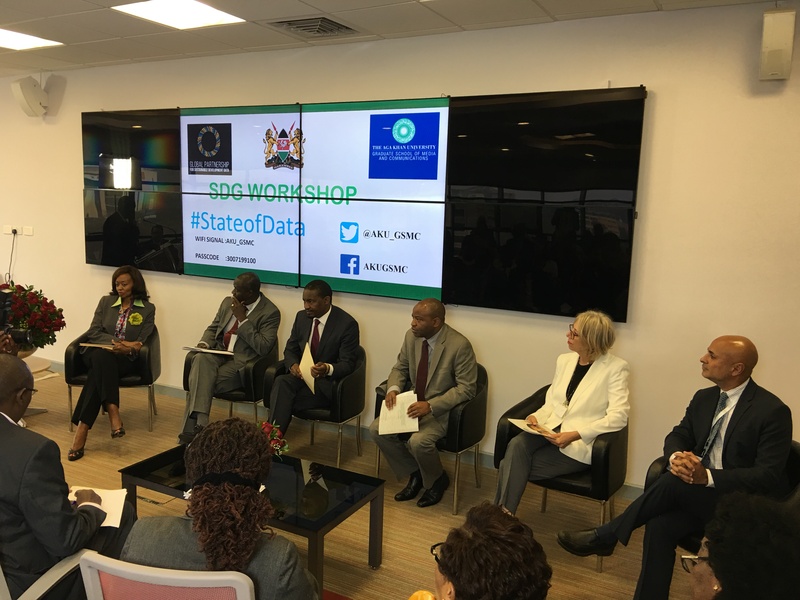 National Statistical Offices (NSOs) are sounding more progressive and receptive to multi-stakeholder engagements and approaches on the data revolution. They are however, burdened by severe capacity gaps and limited resources. It can never be overemphasised that they need urgent support to define practical mechanisms for coordinating the new age National Statistical System (NSS) of data producers and users. And yes, it’s also time for the political goodwill in our countries to yield domestic resources to fully support these national processes – there’s a limit to what the GPSDD and its champions can do for us. Political will can be a great tool for mobilising stakeholders and resources. Its absence, however, can also break great initiatives as a result of the push and pull for power, resources, and relevance. The impact of politics, therefore, is not to be underestimated. We need well-defined (and clearly understood) accountability frameworks and rules and responsibilities that apply across the board, not just for government, to effectively overcome negative political machinations. Policy/legal frameworks and well defined national roadmaps that catalyse reforms, provide visionary leadership and create the infrastructure necessary for integration and implementation in formal government planning and development processes. A natural home in a core institution or set of institutions (political, technical and financial), that are responsible for coordinating and providing leadership for its delivery, and can be held to account for their actions. Full ownership by various arms of government (executive, judiciary, and legislature) who commit and allocate domestic money and other resources to support its implementation and concrete action. Awareness to be raised so that stakeholders, especially citizens and civil society organisations, fully understand it, own it, and are empowered to use it to take action and to hold governments accountable. A truly transformative data revolution should be seen as one of several major steps in a long term transition to sustainable development. This must last well beyond 2030 to support whatever post-2030 global framework is adopted. We must therefore do what needs to be done now while also creating incentives, nurturing partnerships, and strengthening institutions through which longer-term visions can be achieved. A special focus on those at the highest risk of being left behind; those in vulnerable, conflict-ridden and fragile states ravaged by chronic and absolute poverty, hunger and instability would be a great starting point. It’s great harvesting low-hanging fruit, but if we are to change the discourse for humanity, then energy and resources need to be channelled to address the structural causes of poverty, instability, and marginalisation. This includes climate change – which is already hitting us all, but the most vulnerable the hardest. But the convergence of technology, sustainable development expertise and citizen voice that the data revolution can foster, offers an incredible opportunity to better understand these challenges, along with how to address them. Lastly, the affront on civic space across the world is, and will continue to be, a major threat not just to citizens, but to governments themselves. CIVICUS has documented serious violations of civic space in 109 countries last year alone. Unless the tide changes, the rhetoric around meaningful partnerships and data ecosystems amounts to nothing but double-speak. Resources are also rapidly dwindling and the natural instinct for governments is to focus on a few selected priorities (often political). Never has there been a greater opportunity for inclusive socio-economic transformation through the emerging technological revolution, innovation, and citizen empowerment. Multi-stakeholder partnerships are no longer a choice, they are an absolute must. Follow our conversations on Twitter via #DataShift. In Kenya and Tanzania, DataShift seeks to demonstrate concretely how multiple sources of data, particularly citizen-generated data (CGD), can be harnessed to monitor sustainable development goals (SDGs) progress, while building the interest, capacity and collaboration of civil society in generating and using data – with a special focus on SDG 5. DataShift is seeking a research team to carry out applied research to assess gender data availability, accessibility, quality, comparability and gaps in Kenya and Tanzania respectively, on SDG 5 and other pre-determined and prioritised gender targets and indicators in other SDGs. The consultants will assess the gender data availability, accessibility, and quality from a range of relevant data types and data sources. The value and role of citizen-generated gender data produced nationally or locally in promoting gender equality and the empowerment of women and girls is less well documented in the East African context. The consultants will review gender indicators related to but not limited to, health, education, women’s economic empowerment and entrepreneurship, social exclusion of women and girls, water and sanitation, time surveys on the value of unpaid care and domestic work, effective participation and equal opportunities for leadership at all levels of decision-making in political, economic and public life, among others. The research will mainly target national level actors but be complemented with specific case studies, particularly citizen-generated data initiatives from the sub-national level. The consultants will be required to produce detailed reports and executive summaries for Kenya and Tanzania respectively. The reports will synthesise research findings, drawing conclusions and making recommendations for targeting government policy and decision makers, civil society, development partners, researchers, among others. The assignments in both Kenya and Tanzania will begin on Monday, 19 September 2016 and conclude by a strict deadline of Friday, 2 December 2016. See the full Terms of References – East Africa Gender Data Research for more information. To apply, please submit applications to datashift@civicus.org by 7 September 2016. Interviews will be held between 12 and 13 September 2016 and the successful consultants notified by Friday, 16 September 2016. Join us on 12 September at 9am EDT / 2pm BST / 4pm EAT (additional timezones) for a DataShift community call on mobility solutions for sustainable cities. Ma3Route CEO, Stéphane Eboko, will share the organisation’s experiences in improving the commutes of their app users, by providing real-time information on traffic in Kenya. With 500,000 active users and 40,000 app downloads, they’re a leader for traffic information in East Africa. Stéphane will discuss how they created a community of users, how their initiative contributed to a more sustainable Nairobi, and insights for others considering similar initiatives in their countries. We will also share a few examples about other data technologies related to mobility and sustainable cities (SDG 11); such as measuring carbon impact with sensors and monitoring pollution indicators in real-time. We want to hear from you! Please come prepared to talk about mobility issues in your city and how mobility and sustainable cities are related to your work on other topics as well. We hope to have an interactive debate, your contribution is essential to ensuring that our DataShift community as a whole, gets the most out of this webinar. With more than half of the world’s population already living in urban areas; we hope you will join us to learn about successful experiences, ask questions, and share your own knowledge on how to make cities more sustainable and enjoyable. On 25 April 2015, an earthquake measuring 7.8 on the magnitude scale struck Nepal, a major aftershock occurring on 12 May. These massive quakes killed more than 8800 people, injured over 21,000, damaged nine million homes and pushed 2.5% – 3.5% of the population back into poverty. In the wake of these devastating earthquakes in Nepal, the Nepalese government and other actors turned its attention to humanitarian assistance. Aiming at monitoring and improving earthquake response, Local Interventions Group (LIG) together with Accountability Lab (AL) started the Mobile Help Desk, an initiative that would close the information loop that exists between the public and the government while simultaneously, plugging these gaps by directly providing essential information to earthquake victims. 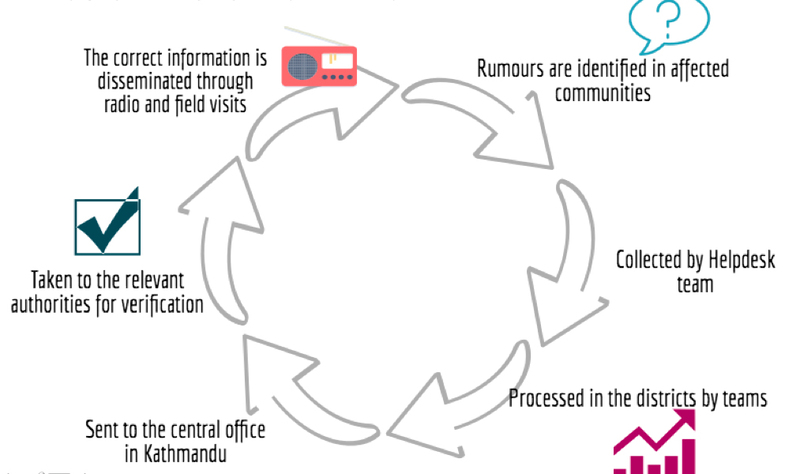 On 10 August, DataShift hosted a Community Call, inviting Quincy Wiele from Local Interventions Group (LIG) and Sara Rodriguez Accountability Lab (AL) to share their experiences in providing opportunities for Nepalese to be more involved in the disaster recovery process and holding their government accountable. Local Interventions Group uses data to promote better governance and have previously used data for security mapping with the police and tracking district official absenteeism. The Accountability Lab works to promote accountability and transparency to reduce corruption building a new generation of active citizens and responsible citizens around the world. Together they started the Quake Help Desk. making sure that people in localities are receiving the support they have been promised. raising awareness by reminding citizens of their entitlements. One way of tracking, involved conducting community perception surveys. Through these surveys they found that by listening to people’s needs and comparing the discrepancies between districts, the humanitarian community was able to adapt its response to specific circumstances – improving the overall earthquake response. In order to close the feedback loop, their “Open Mic Project” ensured that people had access to correct earthquake related information, thus reducing the potentially harmful/inflammatory impacts of incorrect information. Through these activities, LIG and AL were also able to have an impact beyond their initial objectives. They mobilised over 100 volunteers, hired more than 100 community frontline associates, exposed more than 80,000 people and monitored more than 1,000 villages; identifying over 20 different issues. Over 25 humanitarian organisations and government agencies are using the data. Quincy and Sara also shared their findings with us during the call. It was clear that transparency and accountability lacked at every level. Their work also showed that during the first eight months after the earthquake, negative perceptions about relief and the reconstruction process remained consistent, with slight improvements noticed after this period. In July 2016, 79% of people felt their reconstruction issues were not being addressed, showing that the reconstruction process is still viewed unfavourably. Initial data from “Follow the Money” showed that significant funding discrepancies existed and that significant levels of corruption existed in the relief process. 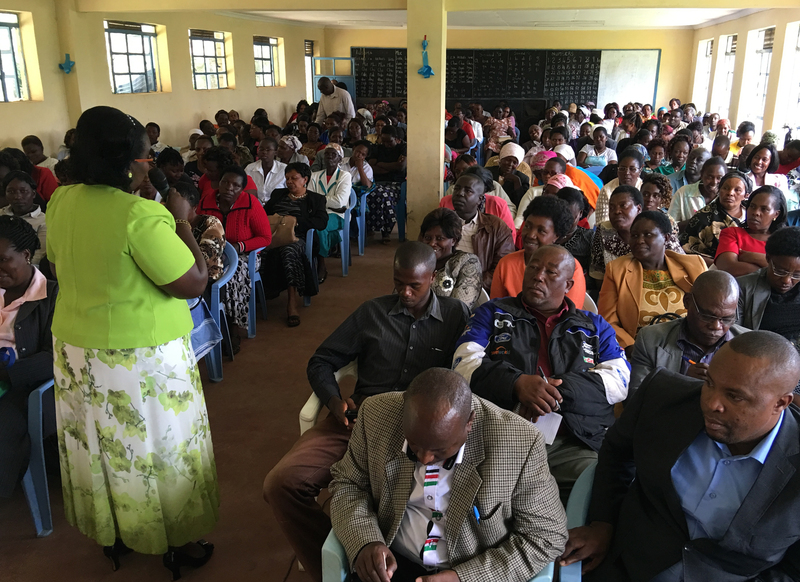 The team was also confronted with challenges, such as; managing high expectations as it was sometimes difficult to ask for data without providing tangible assistance to victims. Communication was key for overcoming this, as the team worked hard to build trust within the communities. Accessing remote communities also posed as a challenge, however, by hiring locals or being close to survey areas to minimise journey time – they found a way around it. Another challenge they encountered was survey fatigue, with more than 12 organisations doing similar work. It was thus difficult to convince the community that they would benefit from continuously sharing their experience. Quincy and Sara have learnt that in these situations, you have to strike while the iron is hot, as it is difficult to continue mobilising for earthquake response, when it is already considered “old news”. They also learned the importance of building good relationships with the government, which ultimately gave them more leverage. By avoiding pointing fingers at government and humanitarian agencies, they have managed to maintain a positive approach to their work. Going forward, LIG and AL are developing a toolkit with lessons learned to be shared with other countries facing similar situations and hope that this model can be replicated for other disaster accountability. We would like to thank Quincy and Sara for sharing their experience and insights with us. Their presentation can be downloaded here. Also, be on the lookout for our next Community Call, more information coming soon. After an exciting workshop in Dar es Salaam, Tanzania this past weekend, the Data Roadmap on Sustainable Development Goals (SDGs) kicks off in Nairobi, Kenya today. The Global Partnership for Sustainable Development Data (GPSDD) in collaboration with the Office of the Deputy President of Kenya are convening a global network of governments, NGOs, businesses, and national level stakeholders; to strengthen the inclusivity, trust, and innovation in the way that data is used to address Kenya’s sustainable development. In her speech at the Political Launch of the GPSDD, H.E. (DR) Ambassador Amina Mohammed affirmed that Kenya’s promise of inclusive development can only be achieved by creating an inclusive data ecosystem involving government, private sector, academia, non-profit organisations, innovators, local communities and development partnerships. The Kenya national workshop on SDGs Roadmaps and data ecosystems follows on these commitments to improve informational aspects of decision-making; by engaging these multiple stakeholders through practical collaboration and taking deep dives on data driven/policy initiatives. prepare for a data driven engagement in Vision 2030 MTPIII process and County Integrated Development Plan (CIDP) process. During the two-day workshops – the working groups will take a look at the agreed work plans for supporting countries at national and subnational levels (including cities), to develop and implement multi-stakeholder roadmaps for harnessing the data revolution for sustainable development based on local and national priorities for SDGs and national plans. This will also include a session on citizen-generated data (CGD) in support of SDGs, presented by DataShift’s, Davis Adieno. CIVICUS World Alliance is an anchor member of the GPSDD. Read more about the partnership on http://data4sdgs.org/. Starting today the National Bureau of Statistics – Tanzania in partnership with the Global Partnership for Sustainable Development Data (GPSDD) will convene the Data Roadmap for Sustainable Development National Workshop in Dar es Salaam Tanzania. The workshop brings together representatives of major stakeholder groups, to start working more closely toward sustainable development goals (SDG) monitoring. It also presents a good opportunity to showcase the ongoing work by civil society organisations (CSOs) in Tanzania, and provides a platform for networking with regional and global players working on data revolution for SDGs. Create awareness among Tanzanians (including; key government officials, CSO and private sector) about SDGs and the roles different parties can play. Cover the SDG indicators with the 5-year development plan (2016/17-2020/21) indicators, to establish concurrent monitoring for both programming tools. This will align national priorities and Vision 2025 plans with the 2030 SDG goals. Localise SDGs in the national five-year development plans, such that plans may be aligned at the sub-national level to execute Vision 2025. Understanding and mapping of the data ecosystem, including; capacity and budget aspects, and possible sources of support. Define early wins, short and medium term actions and deliverables for moving the data roadmap process forward so that it contributes to achieving and monitoring progress on sustainable development. On the second day of the workshop (Saturday 13th August), DataShift will be facilitating two break-out workshops on specific data areas highlighting data gaps and early wins. These will be; 1) On SDG 5 (Gender Data workshop) jointly with the Tanzania Gender Network Programme (TGNP), and 2) the second session on the Data Revolution in action, focusing on Citizen-generated data; in the morning and afternoon respectively. The workshops pose a great opportunity for organisations to share their story and experience in revolutionising the use of data in tracking gender related issues in Tanzania; including through citizen-generated data and the use of technology, such as mobile phone technology. Please follow @DavisAdieno on Twitter for updates during the workshop. Join us on 10 August at 9am EDT/2pm BST/4pm EAT /6:45pm NPT (additional timezones) for a DataShift community call on disaster recovery accountability in Nepal. Quincy Wiele of Local Interventions Group will share the organisation’s experiences in providing opportunities for Nepalese to be more involved in the disaster recovery process and holding their government accountable for its efforts. The good news is that after a natural disaster, the international community and citizens are often generous with financial support for survivors. The bad news is that this money is entrusted to the government; often with no strings attached. When governments are given a blank check for disaster relief and recovery, how can citizens hold them accountable for how that money is spent? After the devastating 2015 earthquakes in Nepal, the Nepalese government and other actors turned its attention to humanitarian assistance. In an effort to monitoring and improve the earthquake response, Local Interventions Group (LIG) along with Accountability Lab (AL) started the Mobile Help Desk. This initiative would close the information loop that exists between the public and the government while simultaneously, plugging these gaps by directly providing essential information to earthquake victims. 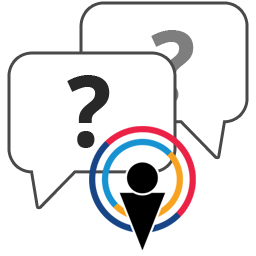 We hope you’ll join us to learn about these experiences, ask questions, and share your own knowledge on disaster recovery accountability. Join us for the webinar on 10 August – RSVP now! The DataShift team ensured that citizen-generated data (CGD) was on the agenda at this year’s High-level Political Forum on Sustainable Development (HLPF) in New York, using the forum as a platform to present the “Making Use of CGD Tool”. Cassia Moraes tells us more in this blog. From 11-20 July, the United Nations hosted the second High-level Political Forum on Sustainable Development (HLPF) in New York. The HLPF is the main global forum for the follow up and review of the 2030 Agenda for Sustainable Development, including the new Sustainable Development Goals (SDGs). This year the HLPF focused on a core theme of the Agenda 2030 framework; “Ensuring that no one is left behind”. Throughout the ten-day event, the HLPF convened national voluntary reviews of 22 countries, thematic reviews, side events, a Partnership Exchange, and SDGs Learning, Training and Practice sessions for governments and myriad of other stakeholders present. During the meetings, Member States and several other participants were keen to recognise the need for strong monitoring of the SDGs. As 2016 is the first year of implementation of the 2030 Agenda, it is however important to highlight the role of data in the initial stages of the implementation planning process. To ensure that no one is left behind, a crucial first step is knowing who “no one” actually refers to: Which sectors of society are marginalised? Which regions have social and economic indicators below the national average? Which groups are lagging behind on different SDG areas, such as education and health? On the other side, different constituencies raised important questions about the HLPF theme. One recurring concern was the possibility of rebranding the SDGs, as they were the Millennium Development Goals (MDGs) – the eight goals that preceded the Agenda 2030, and whose focus were mostly social and economic issues within developing countries. Unlike the MDGs, the Sustainable Development Goals are meant to be universal, i.e. to be applicable to developed countries. Therefore, few civil society representatives stressed that the aforementioned slogan cannot be used to divert attention away from developed countries’ accountability and domestic problems, thus raising inequality. Another major difference between the SDGs and the MDGs is that the former are supposed to include environmental issues, which is one of the pillars of sustainable development together with the social and economic spheres. Environmental groups were thus concerned that this years’ theme could also overlook important aspects of such a comprehensive agenda. EMPOWER: we will work together with national partners in at least 30 countries to build local voices for action and accountability to ensure no-one is left behind in their countries. During the HLPF, the DataShift team worked hard to ensure that citizen-generated data (CGD) was in the agenda, leveraging on several advocacy opportunities to include civil society in the monitoring of the SDGs. Beyond advocating for the importance of using CGD, we looked for interesting projects that exemplify how this can be done in practice. A clear-cut example of the potential of CGD to monitor progress against the SDGs is the Everyone Counts initiative, led by CARE International, World Vision International and Kwantu. Together, they will test the efficacy of social accountability at scale, aggregating CGD to monitor progress against the SDGs in pilot countries. Using existing interventions – like social audits and community scorecards (CSC) – the initiative will address the main CGD challenges, such as comparability and coverage. DataShift presented the Making Use of CGD Tool at the side event, Data Roadmaps for Sustainable Development, organised by the Global Partnership for Sustainable Development Data (GPSDD). This tool has been created for all stakeholders interested in fostering effective monitoring and accountability for the SDGs, with focus on the national and subnational levels. The tool also presents advantages of using CGD to complement official datasets, which can identify and fill data gaps and provide a snapshot of marginalised populations and issues, among other contributions. The GPSDD also launched a Call for Proposals on Collaborative Data Innovations for Sustainable Development, a great funding opportunity for organisations working with data production, dissemination and use, primarily in low-income countries and lower-middle-income countries. Grants will vary according to the maturity level of the projects, ranging from $25,000 to $250,000. Finally, we facilitated the meeting of the Action for Sustainable Development’s Monitoring and Accountability Working Group during a two-day weekend workshop hosted by the platform. Participants discussed challenges such as; considering our audience by using different means of communication (e.g. webinars are not the most adequate platform for grassroots) and increasing awareness levels about the SDGs, especially in the developing world. The audience also stressed the importance of monitoring efforts in the national and local levels, demanding that the working group support members to hold their governments accountable. Overall, the 2016 HLPF showed both the potential and challenges for the coming years of SDGs implementation. After a successful international gathering, it is now time to go back home and build strong foundations to deliver an ambitious and urgent agenda.